It is almost impossible to be brief regarding a journey of over 35 years but we have attempted to mention some of the salient points and changes which have occurred during this period. What is evident as we look back is the continued favour of God and growth of something that was not given very long by some of its critics in the early days. Many hundreds of lives have been touched over the years as they have experienced the special love and care from the people now known as the King’s Church. Some have stayed for as season, some for a lifetime and some have taken what God has been doing here to the ends of the earth blessing many many more. It is an exciting time of change and fresh vision for the people of King’s Church and the community they find themselves in which now includes people from a wider area who join together to worship at the King’s Centre, Little Lever. Started in 1982 the King’s Church was born out of revelation and God given direction to establish something new within the community of Little Lever. Initially a small group of 12 people met in houses for worship, prayer and fellowship, this was the season of the house Church movement which saw many similar “Fellowships” established. The group decided upon the name Little Lever Christian Fellowship to reflect some of what they believed and felt were important aspects of the group at that time. Fellowship was a key aspect of those early days and as the group grew together it is amazing to be able to say that out of the original 12 people, 10 still fellowship together at what is now known as the King’s Church. The group grew rapidly and one by one the houses they met in were no longer big enough, although they were able to meet for sometime at the Rowett’s house in Ladyshore Road. The group continued to grow, attracting new Christians and those from other situations who were looking for a fresh expression of Church. It was a season of growth numerically and spiritually as the Fellowship entered readily into what the Holy Spirit taught them. In 1983 the group was so large that they started to meet for a short time at the Youth Centre in Herbert Street, Little Lever. Whilst this worked well for a while there were now more and more children coming along with parents and the building was not suitable and so in 1985 they moved to the Community Centre in Little Lever. 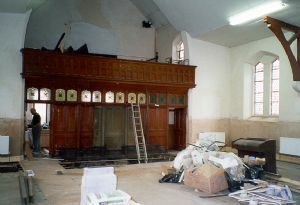 This remained the home of the Fellowship for a number of years but in the late 90s the church realised that the venue was no longer practical especially with the number of children present. In addition to the space issues the regular setting up and pulling down of chairs, PA equipments, screens and other items was a drain on the volunteers. 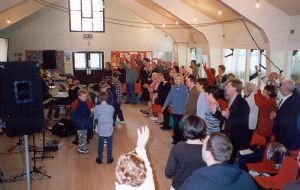 So in May 1999 after many months of prayer, planning, purchasing and renovation the Fellowship moved into the King’s Centre in the centre of Little Lever. 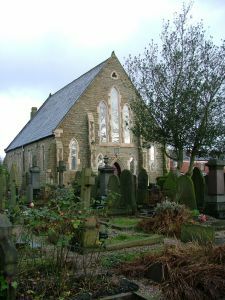 The building was formerly the Congregational Church (which merged with the local Methodist Church). The opening Sunday was an awesome time as the Church along with support from many other people and churches in the community marched from the Community Centre through Little Lever to the gates of the new King’s Centre. The Centre was opened by the two eldest and the two youngest members at the time – Tom Yates and Edith Tonge and Lydia Holden and Jacob Butcher. The Fellowship continued to thrive and in 2006 it was felt that the Fellowship should be renamed the King’s Church. At present we often experience over 100 people joining together for the Sunday celebration and things are becoming a little tight again! In addition with the increasing numbers of teams and ministries the building is looking smaller all the time.